In a previous article, we shared with you tips on buying a car, particularly on choosing a car and where to purchase it, this time we are going to show you the steps to secure the best deal when you proceed with the purchase. Before you start negotiating with the salesperson at the showroom floor, you need to arm yourself with all the knowledge you can find. This is to ensure that you can accurately determine if that 'best offer' that he is giving you really is a good deal, or that you should still try to push for a better one. 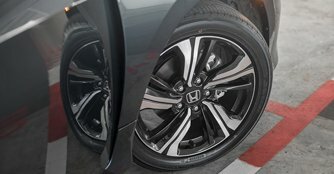 Are these alloys a really good deal that you managed to wring from the salesperson? Or are they actually standard equipment? Dealers often throw in free optional upgrades or items with car purchases, it will be beneficial for you to find out what are the usual items included when buying the particular car. Having this information will ensure that you do not get short-changed. Imagine spending the effort to haggle a certain amount off the price tag only to end up with a less equipped car. Or, haggling for something that is already included for every prospective buyer. That will surely be a total waste of your time and effort. Pricing of cars often fluctuate due to many reasons, you should research for the expected pricing before negotiating. Is that $4000 off the retail price really a good deal, or is it actually offered to every single prospective buyer who walks through those glass doors? It will be wise to compare the prices offered by the different dealers for the car you want. 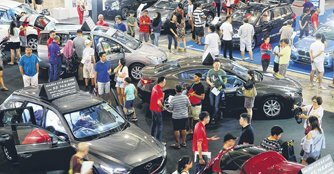 Going to events such as Cars@Expo where you can find all the dealers under one roof will save you the hassle of travelling all over Singapore when researching on your next car. 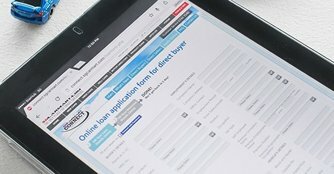 There are usually a couple of different loan options available when buying a car, ranging from bank loans to in-house loans offered by the car dealers. It will be wise to look up the interest rates of the bank loans offered so that you can make an informed choice when going through with the purchase. Now that you are armed with all the knowledge you can find about the cars that you are intending to buy, you can then proceed to negotiate for the best deal. 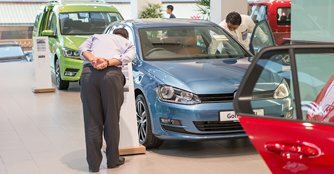 Before heading straight to the showroom to purchase the car, you should see if there are any ongoing or upcoming events or roadshows where discounts and promotions that sweeten the deal are offered. You can then head over to these events and enjoy those promotions. If an event had just ended recently, don't be afraid to ask the salesperson at the showroom if they are able to match those promotions. There's simply no harm in trying. 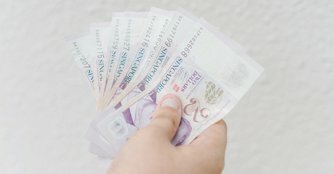 It is in Singaporeans' blood to look for the best deal, don't be afraid to haggle for better deals. However it is important to be reasonable, trying your luck by asking for ridiculous discounts will only affect your credibility. Although the sales personnel won't call you out for it, they may doubt your sincerity and do not bother to give you the best deal. Nobody likes 'lowballers', hence some salesperson may even refuse to give you a better deal, just to spite you. Ultimately, if that is to happen, you will surely be the one to get the short end of the stick. You could have finally found the perfect car that suits all your needs after months of searching around. However, you should not display too much excitement, and keep your emotions in check. Not only is it easy for one to make a rash decision when excited, you may also appear desperate for the car. As with any business transaction, the parties involved will always want to ensure the deal is made in their favour, once the salesperson feels that you really want the car, some may hold back on what they can offer in order to maximise their profits. If the deal is not up to your liking, you can always walk away. 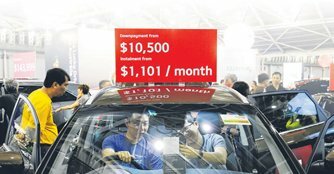 As car pricing fluctuates, don't be afraid to wait for a better deal to occur, it can be due to lower COE or other changes in rebates and regulations, or simply because a facelifted model is launching in the near future. 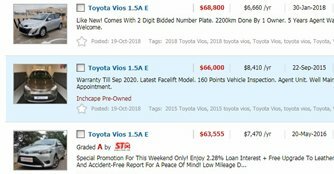 There is no need to purchase the car there and then (unless you desperately need one), you can always wait for events and promotions or for the price to decrease before making your purchase. Never rush into a deal that you may regret later. Getting a new car? You can find great deals right here on sgCarMart.